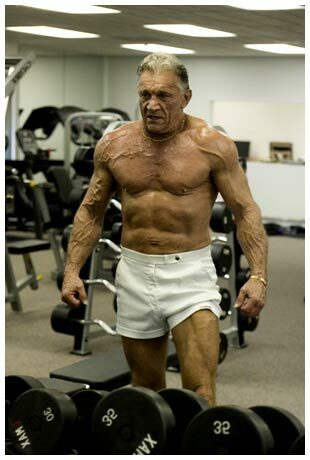 As you grow older, your body starts to slow down and the amount of HGH in your body starts to fall down at its level. Human growth hormone is important to a healthy level of tissue repair and cell regeneration. It is therefore essential to consider natural HGH supplements that could work for your benefit. Extensive studies had been done to come out with some HGH treatments in the form of natural HGH supplements, and they are now available to provide a bolster to HGH levels. Because of the emergence of a lot of HGH products in the market, sometimes it is too hard to look for something that will work best for you. Considering natural supplements are a good option, though. • Natural HGH Complex. This natural supplement can help in improving your vitality, energy, and your well-being. This in turn will enable you to get the most out of your life and enjoy it to the fullest. You can take this natural supplement twice a day at one teaspoon in half a glass of water. Your options extend to drinking it in the morning or 30 minutes before meals and one teaspoon in half a glass of water before bedtime. Sliced. Ripped. Shredded. No matter what you call it, you know it when you see it. Achieving such conditioning, however, takes not only a ton of work, but also a ton of knowledge. 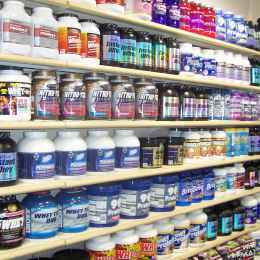 That’s where we come in, mapping out which supplements can best help you get into your best-ever shape. The following list reveals our top 10 supplemental fat burners, representing the best ingredients on the market today. The ratings are based on clinical research, anecdotal reports, and availability. You should remember, though, that despite the fact that these ingredients are ranked, there isn’t a huge difference in effectiveness between the ones that made the list. You can’t go wrong with any of these 10. For example, the first on the list, green tea extract, is not exponentially more effective than the fourth one, carnitine. What you’ll come to realize is that, to get the desired results, your best bet is to combine several of these ingredients (i.e., green tea extract, carnitine and some others). It is almost impossible to find a fat-burner product that doesn’t include green tea extract, but there’s a great reason why. Research studies confirm that green tea extract can significantly aid fat loss. HOW IT WORKS Green tea contains compounds called catechins, which include epigallocatechin gallate. EGCG is the main catechin responsible for the thermogenic (fat burning) effect of green tea. Although green tea also contains caffeine, which was originally hypothesized to be the mechanism for green tea’s ability to enhance fat loss, its major thermogenic effect comes from the action of EGCG in inhibiting an enzyme that breaks down norepinephrine, the neurotransmitter involved in regulating metabolic rate and fat burning. DOSAGE Although drinking green tea is smart, you should still supplement with about 500-1,000 milligrams of green tea extract standardized for EGCG; take it three times daily before meals. Research shows that the body absorbs catechins from the extract better than from the tea. The most important part of your recovery phase is going to be the food you eat and when you eat it. We learned a long ago that the more protein constantly floating around the bloodstream, the more opportunities for the muscle to use it, particularly when paired with a low-glycemic carbohydrate. In other words, you need to be eating frequently throughout the day, and you need to eat high amounts of protein in every single meal. What are high amounts? No less than 1.5 grams per pound of body weight. See protein, eat it! If you’re one of those guys who are always claiming that you eat a ton of food, and still can’t gain weight, you’re mistaken. You just don’t really know what eating a ton of food is. When my athletes are trying to gain weight, they have three to four days out of a week that they consume upwards of eight thousand calories a day. Now that’s a lot of food! If you really think you’re giving it all you got in the stuffing-my-face-for-size department, don’t give up hope. Keep your protein high and your low glycemic carbohydrates higher. You need to eat to grow, and if you’ve got the metabolism of a hummingbird, you need to eat a lot! Eat at least your weight in protein every day. Eat six to eight times per day. Make protein the staple of every meal. Many companies have tried to improve upon creatine by combining it with different supplements and nutrients. This is a compelling idea because if we can signal the muscles to take up more creatine from the blood, we will increase strength and muscle size – it’s that simple. The only problem is that there are only a few substances that can do this successfully. Let’s look at what works and what doesn’t work when combined with creatine. Some companies combined ribose with creatine and this is an interesting idea. Let’s look at why. All the body’s movements, including exercising, are fueled by ATP. ATP is created in the body from food calories through a variety of metabolic processes. Basically, ribose is used to construct the ATP molecule. The theory is that extra ribose will allow the body to restore ATP levels in the muscle that have been depleted by exercise. Without getting too technical, ribose does regenerate ATP in some situations in which muscles have undergone very intense, exhaustive exercise. However, it has very limited effects on performance in these situations and only with very high dosages. When it was tested in weight training men, 10 grams per day of ribose for four weeks increased their bench press by about 8 pounds, the group that didn’t get ribose increased their bench press by about 5 pounds – these results are not very impressive considering that most ribose supplements contain less than one third of the amount used in this research. 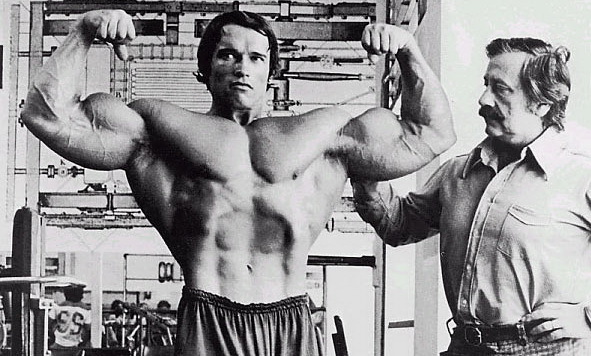 Ribose has not been shown to increase muscle mass. So on its own, despite having a solid theoretical basis, ribose is not very effective even when large doses are used. 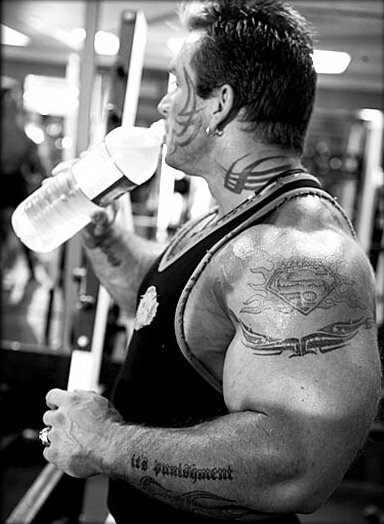 No published studies exist to show that ribose and creatine would have any special effects when combined together. So until ribose is shown to increase performance or muscle mass at affordable dosages, stick with proven creatine formulas. Use Supplements To Ease Your Tendon Irritation. Emphasize eccentric contractions rather that concentric in the areas where you’re feeling tendon stress. An example would be lowering the bar slowly (6–10 counts) in the biceps curl and then having a spotter help you lift the weight into the upright, or contracted, position. Studies have shown that eccentric loading may strengthen the tendon while reducing stress on it. This is an often-overlooked but important method of rehabbing tendons. Modify your “no pain, no gain” philosophy. This begins by carefully listening to your body. Stop training any time you feel sharp pain or an unusual irritation in the area. If you experience prolonged soreness or a deep ache after training you may need to lower your intensity in that muscle group until it becomes clear what those sensations are related to. Read moreUse Supplements To Ease Your Tendon Irritation.